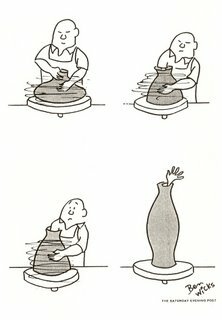 To celebrate the beginning of Summer and Canada Day, the Canadian Comic Art Centre presents this great panorama by cartoonist Peter Whalley. 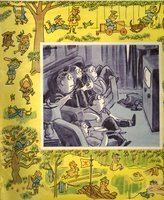 Taken from the cover of the August 16, 1958 issue of Maclean's Magazine, Whalley's cartoon illustrates the enormous difference a generation makes in the experience of the seasons. 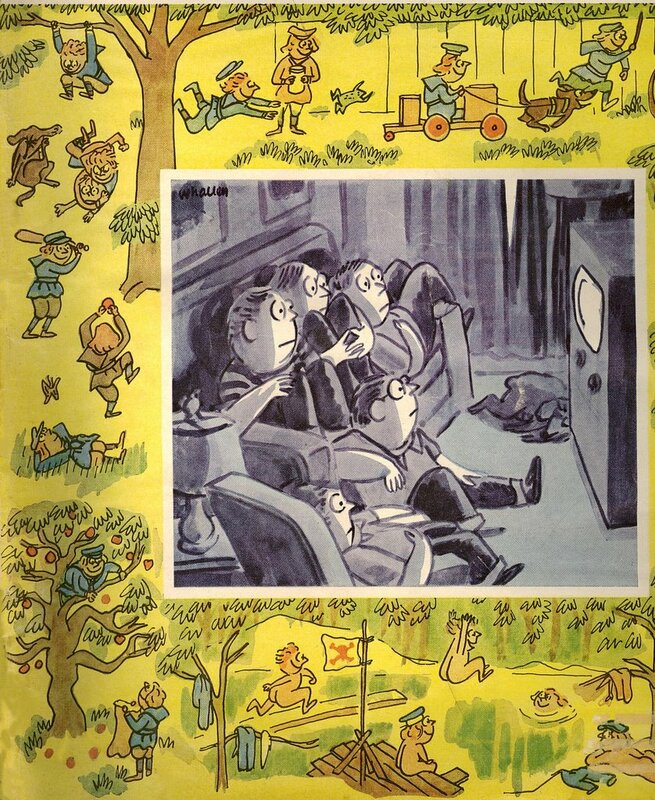 The huge colourful image of frolicking kids --probably taken from Whalley's own childhood memories-- in contrast with the dull black-and-white tableau of the tv-addicted boys of the 1950s is a perfect mute comment on technological change and the loss of innocence, issues that continue to preoccupy us today. Whalley was a prolific contributor to Maclean's and other major publications during the 1950s and 60s, with many cover credits, interior feature illustrations, ads, cartoons and comic strips. He was inducted into our Hall of Fame in 2005. Ben Wicks was one of the most successful cartoonists ever to live in Canada. He had his own tv show for many years and his cartoons appeared worldwide. 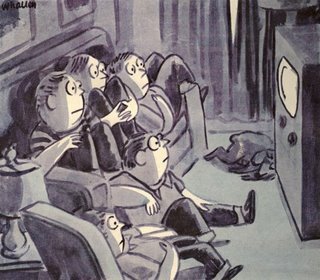 Perhaps best known for his syndicated strip The Outcasts. Interested in literacy, his family continues a reading program in his name. Born in England in 1926, Wicks came to Canada as a youth and eventually found his way to cartooning after a variety of jobs. He received many honours during his lifetime before dying of cancer in 2000 (full bio). He is also memorialized in the Ben Wicks Pub in Toronto --Wicks was co-owner of the popular watering hole for some time and the place still features his artwork throughout (exterior and interior). 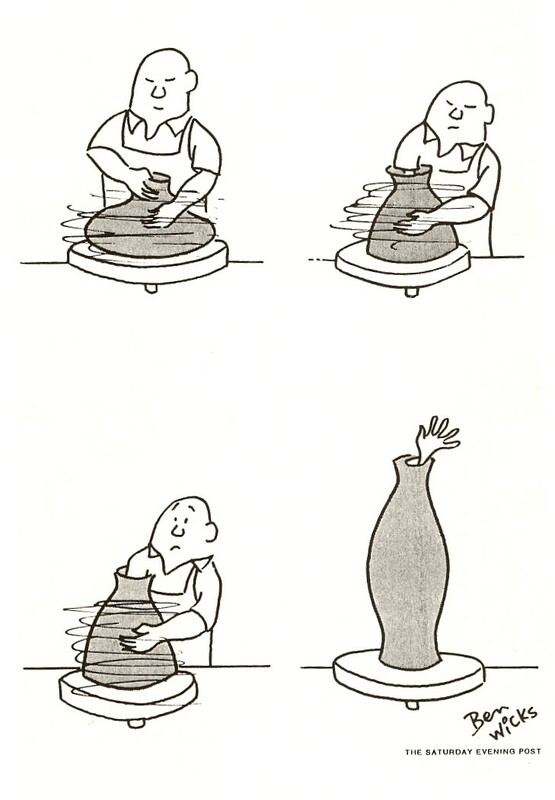 The sequential cartoon above is from an early 1960s issue of the Saturday Evening Post, a defunct U.S. magazine that shared the best cartoonists with The New Yorker and a few other magazines for a time. Wicks broke into this tough U.S. market when he was just starting out and went on to conquer most other outlets then available to him, including editorial cartooning and children's book illustration.